Beautiful, brand new, contemporary home located on the Clive Clark course and one of the most desirable interior street locations, just a short walk to the Hideaway Clubhouse. 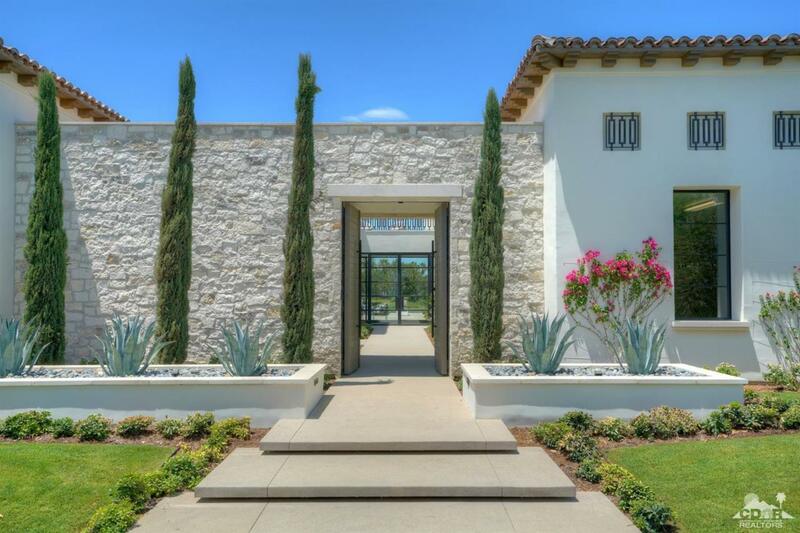 This masterpiece offers sleek, clean lines, natural elements and chic designer finishes, with five bedrooms including 2 guest casitas. Spacious open great room with soaring tray ceilings, fireplace and wet bar. Home also includes a handsome, office with views of the interior courtyard and lots of natural light. 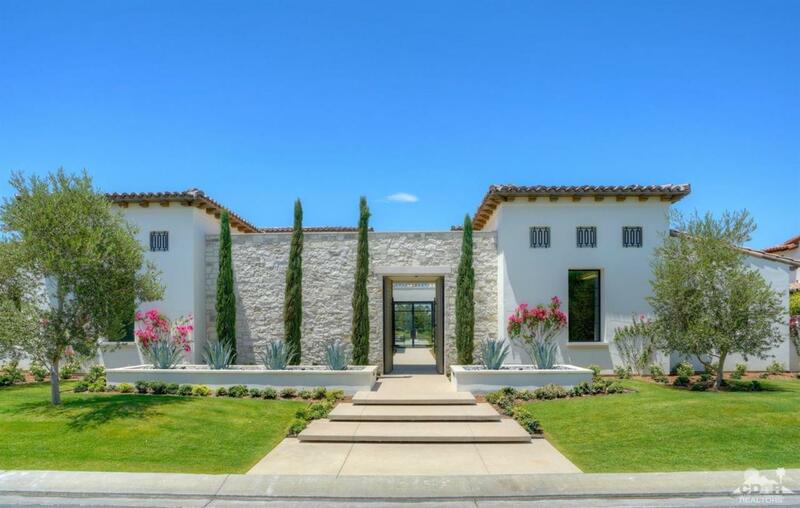 Breathtaking Northwestern Views of the Santa Rosa Mountains, lakes, and golf course can be enjoyed throughout the home. 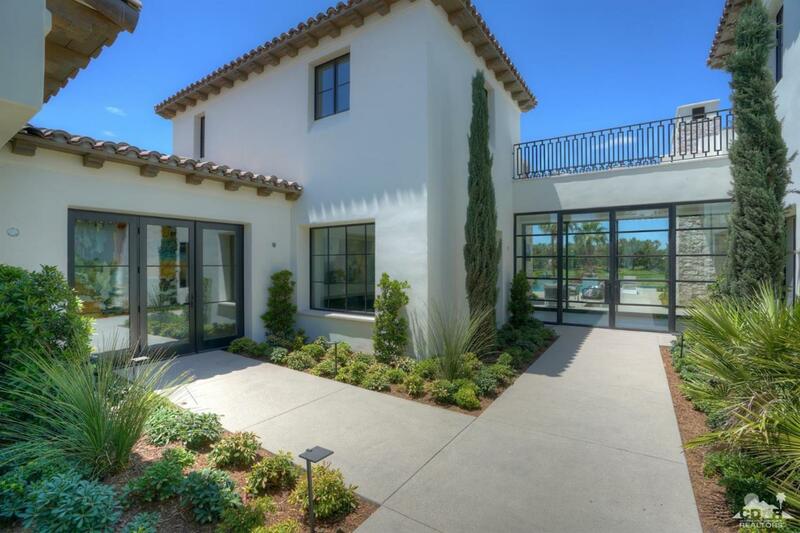 Sleek glass pocket doors slide all the way into the walls to allow seamless Indoor/Outdoor living. Enjoy your own private oasis with a massive, shimmering pool and spa, built in BBQ, covered loggia and cozy outdoor fireplace for those incredible desert nights. Offered designer furnished per inventory. Listing provided courtesy of Hideaway Properties - Ravis Group of Hideaway Properties Corporation.